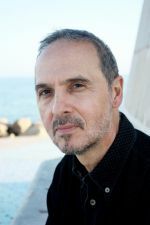 José Luis de Juan was born in Mallorca and is the author of eight novels, including 'El apicultor de Bonaparte' ('Bonaparte's Beekeeper'), 'La llama danzante' ('The Dancing Llama') and 'Obra muerta' ('Dead Work'). He has also published short stories, poetry and essays. His work has been translated into several languages, has won national and international prizes and has featured at the Berlin and Edinburgh festivals, among others. He is also writes for the press on the subjects of literature and travel.